Yes, I’ll admit I’m a geek. I married one, too. So of course we felt it necessary to see “Interstellar.” We read up on it, exchanged speculations on the theories behind it, compared different viewpoints, opinions, reviews, all of that. After all of this effort, a sensible decision was cast to go and see it, already. So last night, after first ducking into Target to purchase some chocolates to stick into our pockets so we wouldn’t have to pay the ridiculous price of $4.oo for a $1.oo candy bar, we went. It was great to go into a theatre filled with our kinds of people, equally geeky and completely silent during the showing, with only the rare murmur of approval over a spectacular scene. Naturally, we weren’t disappointed. Both of us loved it and spent the ride home discussing it. And I could go on about this, that or the other thing regarding the vagaries of space-time travel and the physics behind it. Why would I? You know all that anyway. Actually, books do figure prominently in the movie. Take, for example, the school district’s reliance on “corrected versions” of history. The moonwalk was all propaganda to economically bankrupt the Soviet Union. After all, the Soviets never made it to the moon, so that propaganda campaign must have worked. Yet Murph refuses to believe it all and listens to her father, who reinforces the truth. All that talk about chemical compositions and how it affects environments and circumstances also gave me the goosies. The way how too much nitrogen in an atmosphere isn’t ideal or any atmosphere’s makeup is so sensitive to various forms of life made me smile. But really, when you get right down to it, the use of time as a resource and element defined the film. Everything from the father Cooper as a younger man visiting his daughter Cooper as she lay dying, much older than he (all right, how many of you also knew that was Ellen Burstyn? ), to the astronaut left behind for 23 years when Brand and Cooper seemed to be gone only minutes? Or the gradual shift of Earth from viable to slowly dying, which seemed to take both an interminable and finite amount of time? 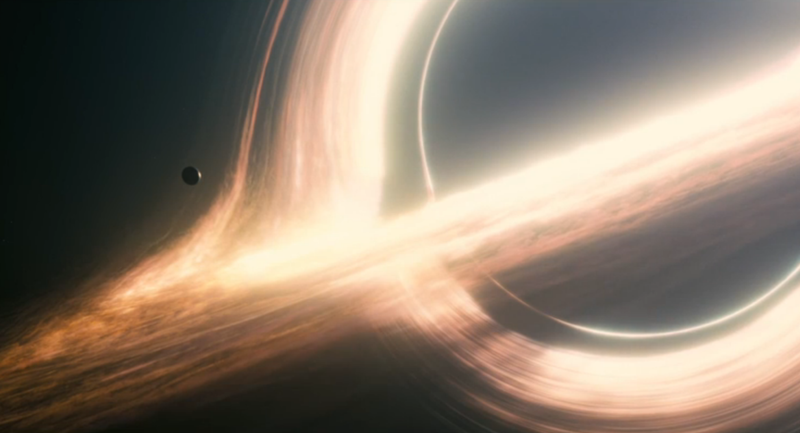 I could go on about many, many more things about why we enjoyed “Interstellar” so much, but that would take time, so if you haven’t seen it, take the time and go!